Hi everyone, it's Friday, FINALLY. I usually get to have some big unhealthy beautiful meal on Friday nights but I went a little off track this week and therefore my dinner tonight is still going to be tracked and healthy [insert crying emoji here.] Shay is making his mum some amazing Mexican Food in honor of Mother's Day and I'm going to whip up my own separate Chipotle Inspired Burrito Bowl. I am only working a half day at work today so around noon I get to go home to my apartment and relax for once in my own warm bed. The weather in California is a little iffy this weekend and there's silly chances of rain on the forecast so I'm hoping there's some time to get out and be active soon. I'm feeling a lot better today after eating clean yesterday and sweating all the sodium and carbs away with cardio. It's crazy how much happier your body and mind can be when you're eating real unprocessed foods. It's definitely something I want to make more of an effort of doing again. This little recipe post isn't going to be much of a recipe at all because honestly, Shay and I just wung it and through this together last Friday. 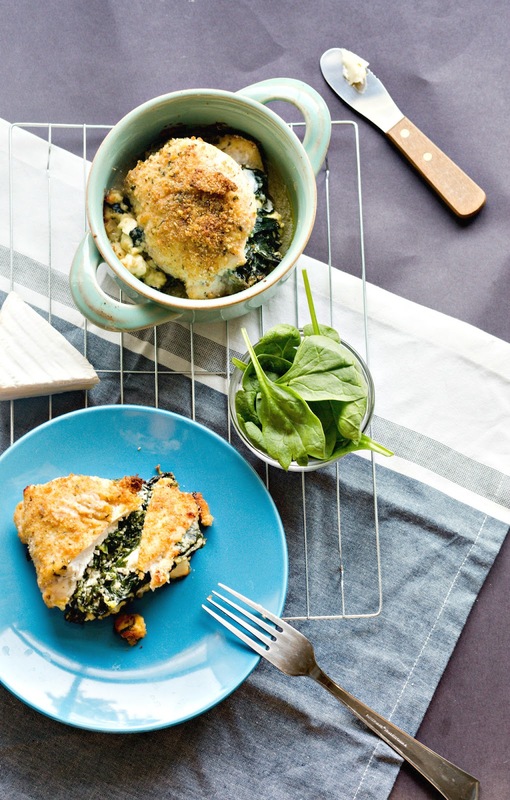 Our Feta And Spinach Stuffed Chicken Breast was heavenly and filled with cheese. Me, being a known cheese-aholic topped mine with beautiful brie and let that bake up in the oven. On Fridays we usually either go for something Mexican or Italian and this one was obviously paired with some baked bread rolls filled with cheese. We used some basic ingredients. A few cups of spinach, some onion and fat free feta cheese and cooked those on the stove top first while prepping the chicken breasts. You're going to want to use a mallet to flatten out the chicken so that you have one big long piece. Then just go ahead and fill the center with your mishmash filling and close them up with toothpicks for a sturdy hold. The little dishes we got from World Market are perfect for making single serving meals so we just tossed them in there and topped with more cheese. They baked for roughly thirty minutes and were honestly good to go. Shay's at work today so I wasn't able to get all the ins and outs on how to and so but if you have any questions feel free to ask and I'll be sure to ask him so that ya'll can know. I think it's super sweet when couples make dinner together for date night. As Shay and I were hiking yesterday we were talking about the typical things people do in relationships and most guys take their girls out for dinner and a movie every month or so. My guy cooks for me every Friday night (and most weeknights too) and it's kind of amazing how much fun simple cooking can be. It's date night again and thankfully the start of the weekend. I'm looking forward to sharing with you some new recipes but honestly I'm just super jazzed to just sleep and experience and not be stuck at work. What are you guys doing this weekend? Is anyone else from California and knows of fun places to explore? Either way, happy weekend and have a lovely Friday. 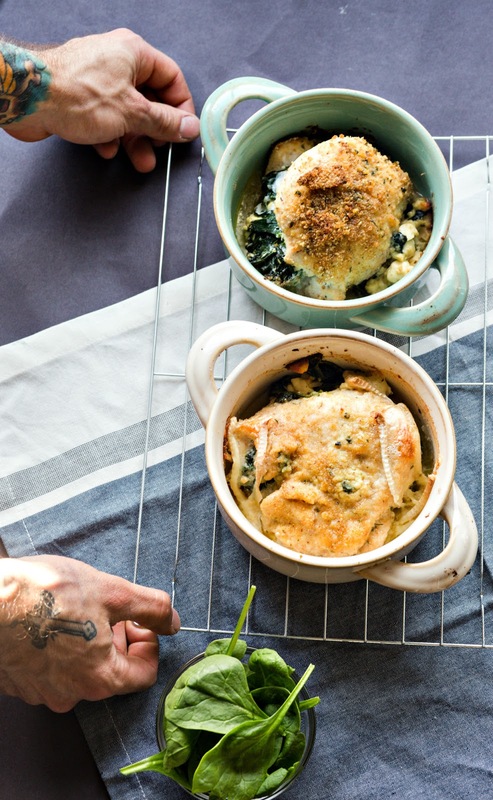 This recipe is seriously making our mouth water, your pictures make us want to try this out soon! 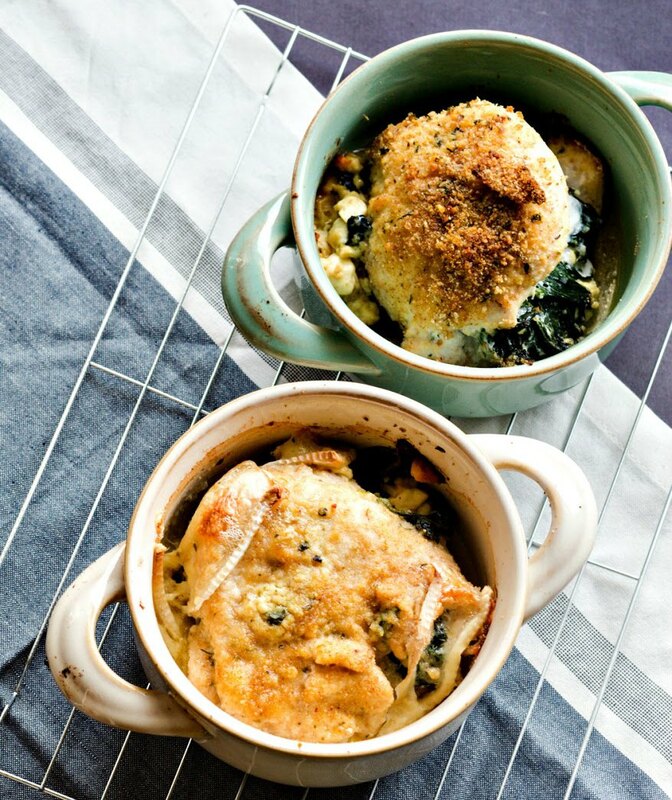 We love healthy and savory dishes and this one looks like a winner!